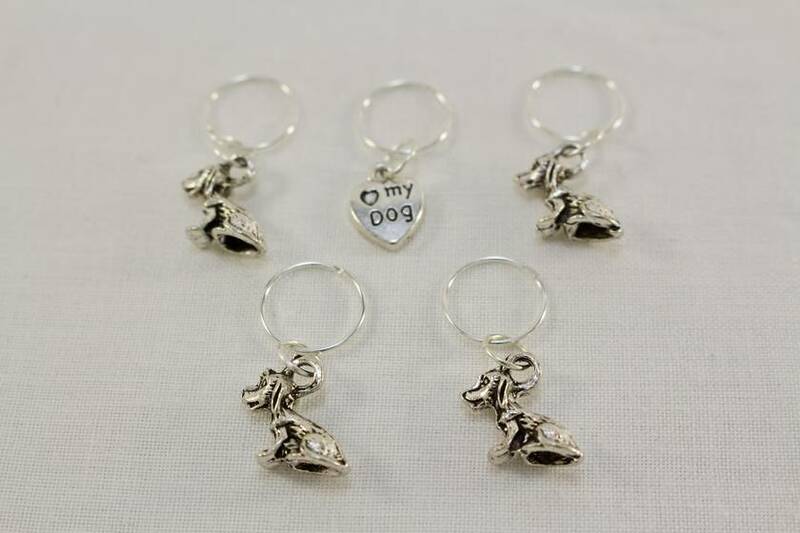 Keep track of important spots in your knitting patterns with this lovely set of 5 dog knitting stitch markers. 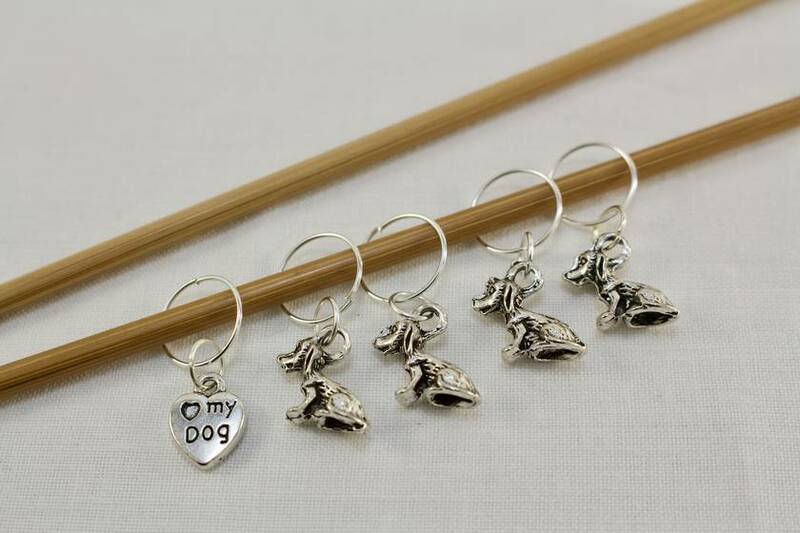 The stitch markers feature 4 beautiful Tibetan Silver style dog charms, and one charm containing a love my dog charm which helps you designate the beginning and end of a row. The stitch markers will fit up to a size 8 mm knitting needle. 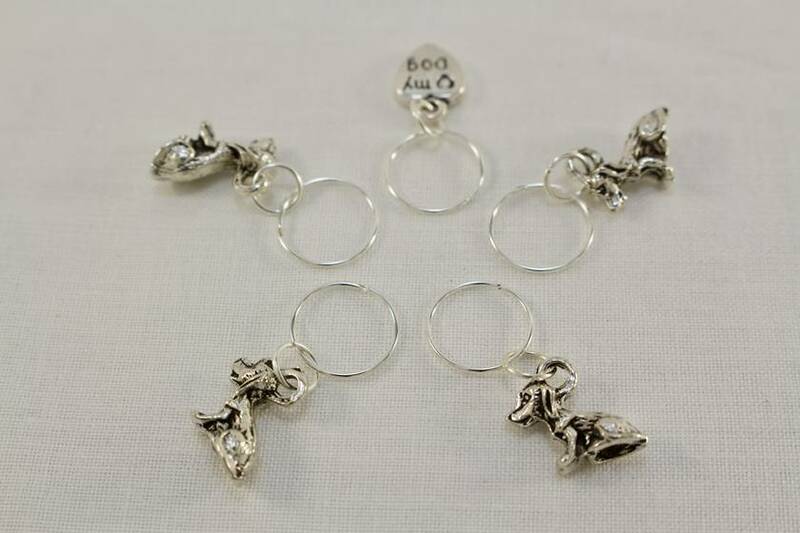 The stitch markers come threaded on a large safety pin, so when you’re not using them you’ll know they’re somewhere safe. 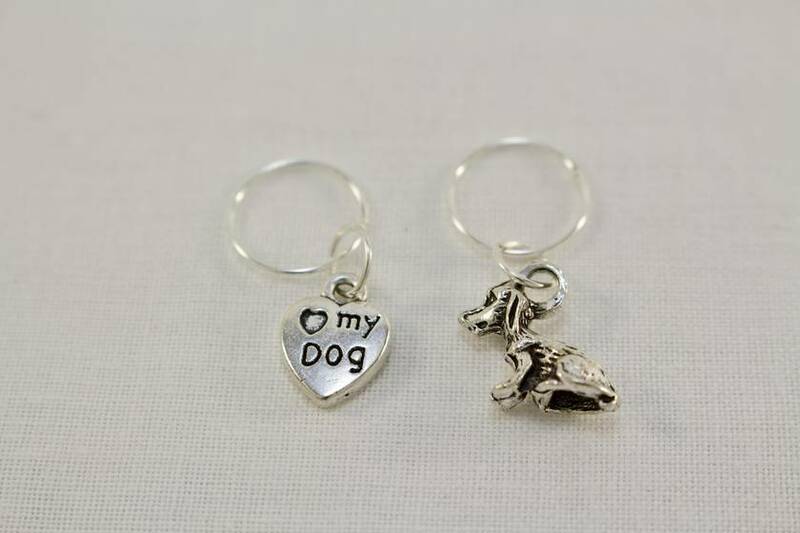 All our stitch markers are lead free. We are happy to gift wrap your purchase and include a handmade gift tag. We can then send it straight to the giftee to any address in NZ. Contact hearthandoak to enquire about payment or shipping options.